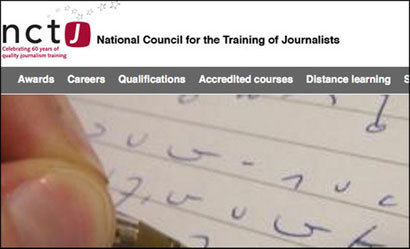 The National Council for the Training of Journalists (NCTJ) is to offer students the chance to study a specialist module in business journalism. The module will form part of the the NCTJ’s diploma in journalism and will give students a chance to study business and finance reporting in greater depth. The programme of study is being developed by Steve Dyson, a journalist and media consultant, supported by an advisory panel including Robert Peston, Paul Addison, European head of training and education for Bloomberg and Ian King, business editor of The Times. This entry was posted in Journalism and tagged diploma, education, nctj, Stephen Mitchell on April 26, 2012 by Tom Rouse. The National Council for the Training of Journalists is running new a competition in partnership with regional newspapers to mark its 60th anniversary. The competition will be open to 16 to 18 year olds who want to see their work in print to submit a 200 word news story to their local newspaper for judging. A single winner will then be selected by members of the NCTJ board and the winning student will be awarded a cash prize, work experience and careers advice. Full details of the competition, which opens for entries on 18 April, is at this link. This entry was posted in Awards, Local media and tagged competition, nctj on April 5, 2011 by Sarah Marshall. Due to the snow and resulting disruption to travel Journalism.co.uk is having to miss out on the NCTJ’s Journalism Skills Conference in Cardiff, which starts today. For coverage on the events you can visit the Journalism Diversity Fund website where a full report from two journalism students from Cardiff University, Ben Bostock and Katey Pigden, who will be covering the debate with reports, video and photos., will be available after the event. You can also keep on top of tweets about the event by following the hashtag #JSC or follow the NCTJ’s Cover it Live blog here. This entry was posted in Events and tagged Events, Journalism Skills Conference, jsc, nctj, Twitter on December 2, 2010 by Rachel Bartlett. The National Council for the Training of Journalists has paid tribute to its former head of accreditation Stephen Chambers, who passed away last weekend after a long battle with cancer. Chambers joined the NCTJ in July 2006 and was head of accreditation for two years, continuing to be involved with the council as a consultant until he stepped down last year due to ill health, the council said. A former NCTJ trainee, Stephen began his career on the weekly Hunts Post before working for the Bristol Evening Post and the Daily Telegraph. In the late 1970s he moved into television journalism and worked for ITN, Thames Television and Anglia TV, where he presented the regional evening news programme. Before joining the NCTJ he worked for six years as a media relations and public affairs consultant in his native Northern Ireland. In tribute the NCTJ’s chief executive Joanne Butcher said he was a “much loved member of the NCTJ team, a wonderful colleague and a friend who I will miss terribly”. His distinguished track record in newspaper journalism and successful broadcasting career made him a huge asset to the NCTJ. As head of accreditation he worked closely with course leaders and editors, a role he found both intellectually stimulating and fun. He believed passionately in the importance of journalism standards and loved giving back to the cherished trade that had provided him with so much over the years. This entry was posted in Editors' pick, Journalism and tagged nctj, Stephen Chambers, tribute on November 19, 2010 by Rachel Bartlett. Directors of NCTJ-accredited university courses discussed ways to cut costs at a meeting with NCTJ management last week at the annual NCTJ undergraduate forum. Ideas put forward included streamlining examiner training, providing additional online resources and doing more proactive block marketing of accredited courses. The NCTJ has posted details of the discussions which took place during the meeting which focused on the impact of government cuts to higher education funding. The forum also discussed the importance of the industry accreditation, which it claimed was “crucial for maintaining high standards and maximising employability in the face of spending reductions”. Concerns about the impact of the education funding cuts on the journalism industry were also raised by the new cross-media accreditation board, which met for the first time in September, with members calling for the protection of accredited courses. Following the debate which ensued Journalism.co.uk began a poll to measure ongoing opinion on the value of the NCTJ accreditation. At the time of writing the majority (47 per cent) had responded that accreditation is ‘useful but not necessary’, while 27 per cent feel it is ‘unnecessary’. The remaining 26 per cent have split evenly between viewing the accreditation as ‘essential’ and ‘in need of updating’. You can still have your say here. This entry was posted in Editors' pick, Training and tagged accreditation, journalism students, nctj, Training, university on November 3, 2010 by Rachel Bartlett. 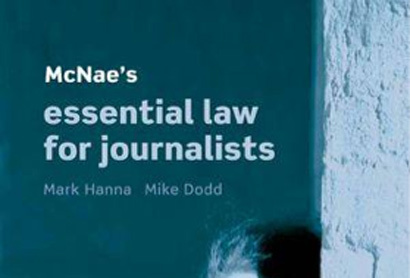 The National Council for the Training of Journalists (NCTJ) has announced the shortlist for its Awards for Excellence 2010, which can now be viewed on its website. A total of 14 students and 15 trainees have been selected for the shortlist from more than 100 entrants. There are also three performance awards based on exam results; NCTJ Student Journalist of the Year, NCTJ Photographer of the Year and NCTJ Reporter of the Year. The awards will be presented at the Society of Editors Conference in Glasgow on 15 November. This entry was posted in Awards, Editors' pick, Training and tagged Awards, Events, nctj, student journalism on October 19, 2010 by Rachel Bartlett. The National Council for the Training of Journalists (NCTJ) is offering sports journalism trainees the opportunity to report on this season’s football play-off finals as part of a new arrangement with the Football League. The sporting body is sponsoring a new award for the best performing candidates in the NCTJ’s sport journalism exam. The winner of the award will cover the Championship play-offs, while second and third place will report from the League One and League Two play-offs respectively. The winners for the 2009-10 exam will be announced next month. Candidates for the forthcoming academic year will have the chance to report from the 2011/12 season play-offs. This entry was posted in Awards, Training and tagged National Council for the Training of Journalists, nctj, sport, sports journalism, Training on August 26, 2010 by Laura Oliver.